Mathieu Frigon joined DPAC in October 2016 as Senior Advisor, Policy & Economics. Prior to joining DPAC, he worked with the Parliamentary Information and Research Service for 9 years where he successively assumed leadership roles with the Standing Senate Committee on Agriculture and Forestry, the House of Commons Standing Committee on Industry, Science and Technology and the Special Committee on Co-operatives. Mathieu was also an Assistant Director of Policy and Economics with Dairy Farmers of Canada from 2000 to 2007. Mathieu Frigon graduated with a Master’s degree in Agricultural Economics from Université Laval in 1999. 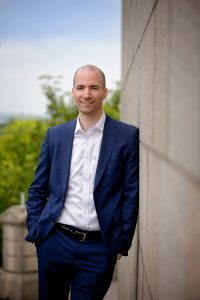 In 2016, he earned a MBA and a Graduate diploma in accounting from Université du Québec en Outaouais (UQO). Mathieu became a Chartered Professional Accountant (CPA,CMA) in 2016. Mathieu Frigon is a board member and treasurer of Voie Verte Chelsea, a not-for-profit organisation that is raising funds for the development and maintenance of the multi-use Chelsea Community Trail along the abandoned rail line. Mathieu lives in Chelsea, Quebec with his wife Darlene and their two daughters, Millie-Rose and Béatrice.